Freedom Road Travel’s mission is to deliver unique and personally enriching experiential experiences to our customers. With that, we are pleased to offer you a free personalised MY TRAVEL smartphone app to help you get the most out of your future trips. 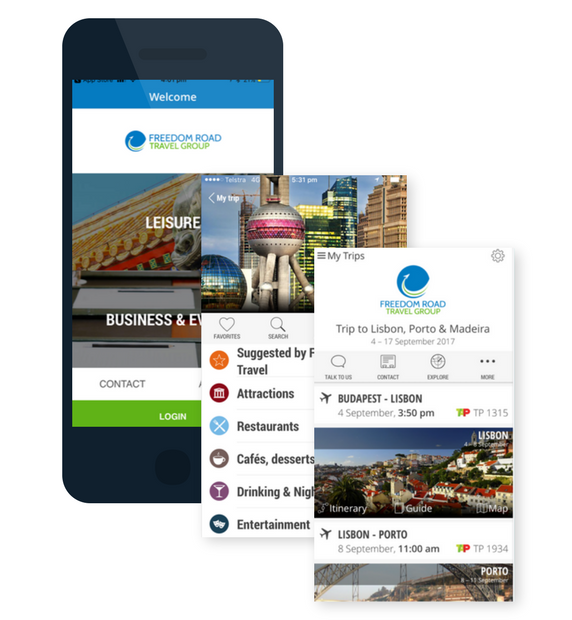 Once your itinerary has been created, the mobile app recommends the best things to see and do in the area, tells you where to eat and drink in each destination, and highlights nearby attractions and suggested daily activities as recommended by the travel experts at the Freedom Road Travel Group. All of these are mapped out with navigation available offline, as well as advise on transportation, weather, currencies and how to get around or to get back to your hotel, wherever you are. All your trip details in one place: transportation, accommodation, activities and tours. No more paper itineraries. All your travel documents: E-Tickets, Vouchers, Visa documents. Mobile check-in for flights, real-time flight status & alerts. Detailed travel guides with thousands of places including pictures, descriptions, opening hours, prices and more. Recommended tours for each destination. Maps and turn-by-turn directions by foot available offline. Trip journal to share your adventures. Weather, currency converter, and other tools. Concierge contact with Freedom Road Travel Group at all times. Available for download on both Google and Apple stores. 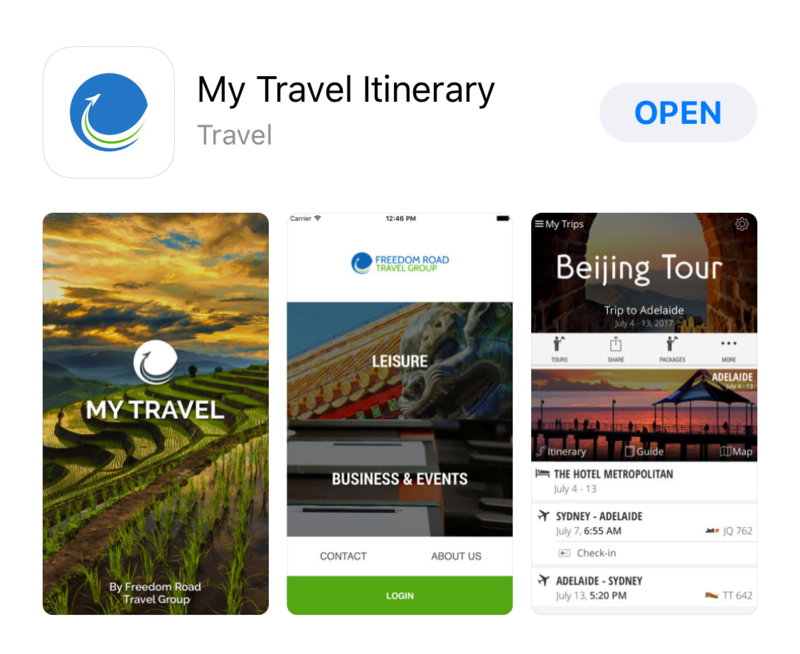 If you are not a fan of apps, within the MY TRAVEL ITINERARY email invitations you receive from your travel consultants, you will also find a PDF version of your itinerary and an online link to access your electronic documents.